12th Civil Services Day event: The Vice President of India, Shri M. Venkaiah Naidu inaugurated 2-day event of 12th Civil Services Day on 20.4.2018. The Prime Minister, Shri Narendra Modi, addressed Civil Servants on the occasion of Civil Services Day on 21.4.18. Prime Minister presented 15 awards to the winners in various categories. He said that the priority programmes such as Pradhan Mantri Fasal Bima Yojana, Deen Dayal Upadhyaya Grameen Kaushalya Yojana, Pradhan Mantri Awas Yojana and Promoting Digital Payments, for which awards have been given, are important programmes for ‘New India’. On the occasion of Civil Services Day, 2018, the Department of Administrative Reforms and Public Grievances (DAR&PG), Government of India produced two films namely ‘Journey of PM-Awards 2018’ and ‘New India-shaping the future’ through NFDC empanelled producers. The same was screened during CSD, 2018. These films are available on the Department’s website, as well as social media platforms such as twitter and facebook. Two books namely ‘Emulating Excellence - Takeaways for Replication’ consisting of 28 successful Innovations and ‘New Pathways’ containing 34 Success Stories in implementation of select Priority Programmes, have been published and released on the occasion of Civil Services Day, 2018 which were released by Shri M. Venkaiah Naidu, Hon’ble Vice-President of India on 20th April, 2018 and Shri Narendra Modi, Hon’ble Prime Minister of India on 21st April, 2018 at Vigyan Bhavan respectively. A digital exhibition on Success stories of identified priority programmes (Pradhan Mantri Fasal Bima Yojana, Promoting Digital Payments, Pradhan Mantri Awas Yojana– Urban & Rural, and Deen Dayal Upadhyaya Grameen Kaushalya Yojana) and shortlisted Innovations by districts and Central, State organisations was also organized. Creative works of Civil Servants were also showcased in the Exhibition. This included books, music, paintings etc. The exhibition was inaugurated by Shri M. Venkaiah Naidu, Hon’ble Vice-President of India on the occasion of Civil Services Day held on 20-21st April, 2018. Posting of Assistance Secretaries in Central Ministries: On 11.07.18, the Vice President, Shri M. Venkaiah Naidu addressed the IAS Officers of 2016 batch posted as Assistant Secretaries in Government of India. He asked the IAS officers to look upon people as active agents of transforming India, not merely as ‘target groups’ or ‘beneficiaries’. 176 young IAS officers of the 2016 batch working as Assistant Secretaries in 58 Central ministries attended the Interactive Session. On 04.07.18, the Prime Minister, Shri Narendra Modi, interacted with over 170 young IAS officers during the inaugural sessionof the 2016 Batch, who were appointed Assistant Secretaries in the Government of India. The Prime Minister encouraged them to share their experiences of field training. He discussed with them some of the elements of good governance, including Jan Bhagidari, information flows, optimal utilisation of resources, and people’s trust in governance. At the Valedictory Session on 27.09.18, IAS officers of the 2016 batch made presentations before the Prime Minister, Shri Narendra Modi. 8 selected presentations were made by the officers, on themes such as raising farm incomes, soil health cards, grievance redressal, citizen-centric services, power sector reform, tourist facilitation, e-auctions, and smart urban development solutions. MoS (PP) Dr Jitendra Singh interacted with the participants of 120th Induction Training Programme on 03.08.18. The group of 89 officers from 18 states who were promoted to IAS from the State Civil Service attended the training programme at Lal Bahadur Shastri National Academy of Administration (LBSNAA), Mussoorie. During interaction with the Minister, the participants discussed various issues including standardisation of training, setting up of new training centres, shortage of IAS officers at some places and new initiatives of the Government etc. On 02.07.18, MoS Dr Jitendra Singh delivered the inaugural address at 44th Advanced Professional Programme in Public Administration (APPPA) for Civil Servants and officers, organized by the Indian Institute of Public Administration (IIPA). As per the practice adopted by the present Government, MoS Dr. Jitendra Singh felicitated the toppers of Civil Services Examination (2017) at a ceremony organised by Department of Personnel & Training (DoPT) in New Delhi on 01.05.18. Regional Conferences on Good Governance: The Department organized three Regional conferences at Bhopal (MP), Kohima (Nagaland) and Thiruvananthapuram (Kerala) during FY 2018-19. Senior Officers of the Central and State Governments responsible for implementing good governance practices, officers from Niti Aayog, DCs of aspirational districts, awardees of PM’s awards, e-Governance and CAPAM awards, etc participated in the conference. The theme of conferences this year was on Good Governance Initiatives with focus on Aspirational Districts/Capacity Building/Citizen Centric Services/Awarded initiatives and e-governance in service delivery. This year, two issues of the biannual magazine ‘Minimum Government Maximum Governance‘, July- December, 2017 & Jan-June, 2018 were e-Published on the Department’s website in the month of January, 2018 and July, 2018 respectively. National e-Governance Awards: MoS (PP) Dr Jitendra Singh presented National Awards for e-Governance 2017-18 on 27.12.2018 in a two-day event of National Conference on e-Governance 2018 (21st edition) held at Hyderabad, Telangana. He presented 19 awards in 8 categories for commending efforts in the field of e-Governance. In each category, the gold carried a cash award of Rs. 2 Lakh & citation and the silver carried Rs. one Lakh cash award. The theme of the Conference was 'Technology for accelerating Development'. The conference was inaugurated on 26.02.2018 by the Union Minister of State for Consumers Affairs, Food & Public Distribution and Commerce & Industry, Shri C.R. Choudhary and the Minister of Information Technology, Municipal Administration & Urban Development, Industries and Commerce of Telangana State, Shri K. T. Rama Rao. An Exhibition was also organized at the venue where the e-Governance projects of various State Governments and the Centre were displayed. A hall of fame was put up where e-Governance initiatives which have sustained and developed over time and those which have a potential for paradigm shift in the way citizens access market services were showcased. These initiatives included platforms of Aadhaar, GSTN, Government e-Marketplace (GeM), Hawkeye, e-NAM platform of the Ministry of Agriculture & Farmer's Welfare, MeeSeva etc. The next National Conference on e-Governance 2019 (22nd edition) is going to be organized by the State Government of Rajasthan at Jaipur in the month of February 2019. During the Conference, it is proposed to give National Awards for eGovernance under 6 categories, viz. (1) Excellence in Government Process Reengineering for Digital Transformation; (2) Excellence in providing Citizen Centric Delivery; (3) Excellence in District level initiative in eGovernance i). North-East States + Hilly States ii). UTs (including Delhi) iii). Other States (4) Outstanding research on Citizen Centric Services by Academic/Research Institutions; (5) Innovative Use of ICTin eGovernance solutions by Startups [Startup as defined by Department of Industrial Policy and Promotion (DIPP) Government of India]; (6) Excellence in Adopting Emerging Technologies. The theme of the Conference is 'Digital India: Success to Excellence." Certificates of Appreciation to Ministries/departments for implementation of e-office prgoramme: On 14.03.2018, MoS Dr. Jitendra Singh presented Certificates of Appreciation to 34 Ministries/Departments for implementation of e-Office programme in their respective ministries/Departments. The Awards are given by the Department of Administrative Reforms & Public Grievances (DARPG), Ministry of Personnel, Public Grievances and Pensions, Government of India. E-Office is one of the Mission Mode Projects under Digital India Programme. International cooperation in the field of Public Administration and Governance: The Department works as the nodal point in respect of matters relating to international cooperation in the field of Public Administration and Governance, which includes organizing programmes and visits of the foreign delegation to India and visits of Indian delegation abroad as part of projects/bilateral measures taken up in accordance with the Memorandum of Understandings (MOUs)/Agreements signed between India and other countries (bilateral or multilateral). The purpose of the international cooperation component is to enable the sharing of information, best practice and personnel across national government. Department of Administrative Reforms and Public Grievances as the institutional member and Board member of Commonwealth Association for Public Administration and Management (CAPAM) is actively engaged with various strategic programmes and activities of CAPAM in promoting good governance across the Commonwealth. In the CAPAM General Members meeting held on 21st October, 2018, at Guyana, Georgetown. Secretary, DARPG was elected on the Board of Directors of CAPAM for the period 2018-2020. During the CAPAM Conference held at Guyana, Georgetown, CAPAM Innovation Awards were announced. Out of the four categories, India won awards in 2 categories. The initiative entitled “Unnayan Banka- Reinventing Education Using Technology of Banka District , State of Bihar has been selected under the Category “Innovation Incubation”. Another initiative entitled “Unified Agriculture Markets, Co-operation Department of Government of Karnataka has also been selected under the Category ‘Innovation in Public Service Management’ and CAPAM’s one and only gold medal also went to the India to this Initiative. Under its given mandate, DARPG has also been deputing officers of Government of India and States/UTs including winners of Prime Minister’s Award for Excellence in Public Administration and National Awards for e. Governance to short term customized foreign training programmes in Institutes/Universities of International repute to share administrative experiences and best practices in the area of public administration and delivery of service. During 2018-19, two groups each comprising 15 officers attended training programmes at Korea Development Institute (KDI, Seoul South Korea in May/June 2018 and Maxwell Syracuse University, New York, USA during November 2018. Certificates of Appreciation to the Ministries/Departments based on their performance in CPGRAMS: On 27.04.18, the Minister awarded the Certificates of Appreciation to the Ministries/Departments based on their performance in the Centralized Public Grievance Redress and Monitoring System (CPGRAMS). 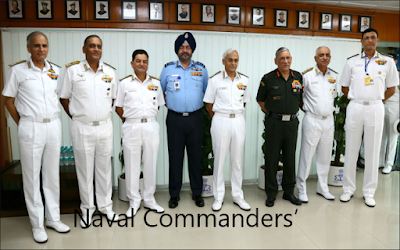 Departments were conferred with the awards for the quarters from July to September, 2017 and October to December, 2017. On 10.08.2018, Dr. Jitendra Singh presented the certificates to various Ministries/Departments for Meritorious Performance in handling Public Grievances on PG Portal, the Ministries were awarded certificates for the quarters January-March, 2018 and April-June, 2018. Launch of Online dashboard to monitor public grievances launched: On 11.04.18, Dr. Jitendra Singh launched an online dashboard developed by Department of Administrative Reforms and Public Grievances (DARPG). The dashboard monitors public grievances on a real time basis and periodically reviews progress of systemic reforms. This enables concerned Ministries/Departments to monitor implementation of these reforms. On 07.03.18, the Union Cabinet chaired by Prime Minister Shri Narendra Modi approved the signing of a Memorandum of Understanding (MoU) between Union Public Service Commission (UPSC) and Public Service Commission of Mauritius. The MoU will develop institutionalized linkage between the Public Service Commissions of two countries. It defines the scope of cooperation between the PSC, Mauritius and the UPSC and sets out the areas of cooperation and obligations of the Parties. On 23.05.18, the Cabinet approved signing of the Memorandum of Understanding (MoU) between India and Singapore on Cooperation in the field of Personnel Management and Public Administration. The MoU aims at improving the current system of governance, particularly in the areas of Workforce, Workplace and Jobs, Public Service Delivery, Human Resource Management, Public Sector Reform, Leadership/ Talent Development and E-Governance/Digital Government. Malaysian delegation led by the Human Resources Minister Mr. M. Kulasegaran met the MoS Dr Jitendra Singh on 09.10.19. The visit was the follow up of the visit of Prime Minister Shri Narendra Modi’s visit to Malaysia in May 2018. During the meeting, various issues related to bilateral cooperation in the field of recruitment, training and other aspects of public services came up for discussion. The Minister for Public Service & Good Governance, Law & Justice, Government of Tanzania (Zanzibar), Mr Haroun Ali Suleiman called on MoS, Dr Jitendra Singh on 16.11.18 and discussed India’s experience with good practices in governance as well as possibilities of exchange programmes at academic level with Lal Bahadur Shastri National Academy of Administration (LBSNAA), Mussoorie and other Indian institutions. Pension Adalat: This Department of Pensions and Pensioners’ Welfare had started the unique experiment of holding Pension Adalat of those cases in CPENGRAMS which were either routinely closed by various Ministries or not disposed of within the time-line of 60 days. The methodology adopted was to invite all the stake-holders of a particular grievance on a single table viz. the concerned Department, the PAO, the concerned Bank and representative of the Pensioner and resolve the case across the table. In the 2nd Pension Adalat on February 9, 2018, 34 pending pension grievances were taken up and the various stakeholders from Ministries, Departments, Banks, CPAO were called upon to redress the grievance on the spot. The cases included revision of Family Pension, Commutation of Pension, final settlement of GPF, Fixed Medical Allowance etc. Out of the 34 selected cases, 20 cases were resolved in the Adalat itself. Out of these, 19 cases were resolved by accepting the claims of the Pensioners. Suitable instructions were conveyed to the concerned Departments for resolving the remaining cases. As on November 30, 2018, out of 34 grievances raised in Adalat, 30 have been resolved. The Departmental Parliamentary Standing Committee for Ministry of Personnel, Public Grievances & Pensions in its 95thReport appreciated the system of holding Pension Adalats and suggested that a day may be dedicated to the Pensioners, as part of good governance, and efforts be made to minimise their grievances. The Committee had suggested holding Pension Adalats, on a particular day, across Ministries, throughout the country, with this objective in view. All India Pension Adalat - 2018: In its attempt to devote one day in the year to Pensioners, Department of Pension & Pensioners’ Welfare conducted an All India Pension Adalat on September 18, 2018, which was inaugurated by the MoS (PP) Dr Jitendra Singh. These Adalats were conducted across Ministries/Departments throughout the country including all the Central Armed Police Forces (CAPFs) as well as non-Civil Ministries viz. Defence, Railways, Telecom and Posts. The Chief Secretaries of States were also asked to conduct Adalats for the All India Service Pensioners who fall within the jurisdiction of this Ministry. The model followed was to bring all the stake-holders viz. the Heads of the Department, the PAO office and the concerned Bank, on one table along with the pensioner or his representative and provide on-the-spot resolution. From the reports received, 12,849 cases were taken up for redressal in these Pension Adalats. 9,368 (73%) grievances relating to Central Govt. Ministries/Departments/Organisations were resolved on the same day. In addition to this, States/UTs, also conducted Pension Adalat for All India Service retired officers, during which 1614 grievances were settled on the same day. .
On the same day, the Department of Pension & Pensioners’ Welfare also took up 32 grievances of various Ministries where the pensioners has expressed his/her dissatisfaction over the disposal by the concerned authorities. These cases were selected from the unresolved grievances in CPENGRAMS portal. In addition, 4 cases which could not be resolved in the last Pension Adalat were also reviewed. Out of these, 22 cases were settled on-the-spot in the Adalat. Suitable instructions/directions were given in the remaining cases to the concerned Departments/PAO/CPAO/Banks to resolve the grievances within a given time frame. 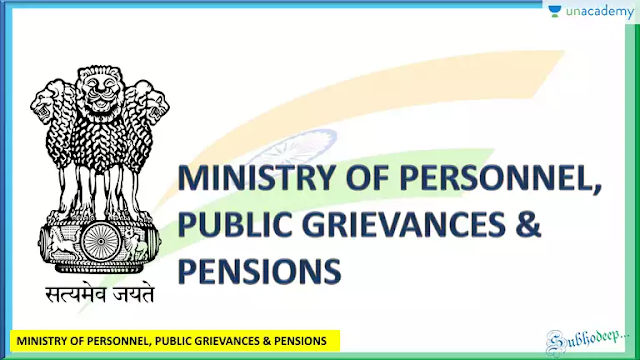 Root cause analysis of Pensioners’ grievances This department got conducted a Root Cause Analysis of pensioners’ grievances by an independent third party, keeping in focus the quality of disposal, which in some cases was not satisfactory. The methodology adopted was a comprehensive review of focus ministries and after a Root Cause Analysis arrive on the basis of the grievances. The feed backs were also analysed along with the redressal procedure. As a result of this exercise the various stake-holders of grievances were identified and action taken to rectify the Root Causes of such grievances. This included meetings with banks in such cases where delay took place in initiation of pension/family pension, disruption in pension credit, discrepancy in pension amount, not providing pension slips, delay in giving effect to change in branch as desired by the pensioner. Similarly, issues pertaining to CPAO were taken up such as revision of pre-01.01.2016 pension revision cases, delay in issue of revised authority etc. ANUBHAV: During the Third Anubhav Award Ceremony, six Awards were given by the Minister of State (PP) on September 18, 2018 to selected write-ups published from April 1, 2017 to March 31, 2018 on Anubhav Portal. A Pre- retirement counselling workshop was organized on 10.01.18 in the presence of MoS (PP) with the objective to aware retirees about their retirement dues and post retirement activities. In this workshop about 125 retirees interacted with 5 NGOs with a view to explore volunteer activities in their post retirement life. Digital Life Certificate from home: Keeping in view the great discomfort experienced by very senior and ailing Pensioners in queuing up outside Banks in the month of November to give their Life Certificate, the Department undertook a path breaking initiative: involve Pensioners’ Associations in eight cities on a pilot basis and obtain Digital Life Certificate from home of such Pensioners. This was a pilot program conducted in Noida/Delhi, Chandigarh, Dehradun, Mumbai, Mysore Vadodara, Trivandrum &Bangalore. Till 13.12.2018, 2480 number of DLCs were obtained from homes of aged Pensioners. Standing Committee of Voluntary Agencies (SCOVA): A Standing Committee of Voluntary agencies (SCOVA) has been set up under the Chairmanship of MOS (PP) with a view to provide feedback on the implementation of policies/programmes of this Department besides mobilizing voluntary effort to supplement the Government action. 30thSCOVA meeting was held under the Chairmanship of Dr Jitendra Singh, Hon’ble Minister of State (PP) on March23, 2018 in New Delhi, which was attended by representatives of various Pensioners Associations and the Ministries/Department.Many issues related to pensioners were discussed such as revision of PPOs of pre-2006 pensioners, Health Insurance Scheme for pensioners including those residing in non-CGHS area, Special "Higher" Family Pension for widows of the war disabled invalidated out of service, Extension of CGHS facilities to P&T pensioners, issue relating to CGHS Wellness Centre, Dehradun etc. Vide Order dated 31.01.2018 Certification of CMO has been dispensed with for claiming Fixed Medical Allowance by the pensioners residing in the city not covered under CGHS. Tax exemption limit for lump sum withdrawal on exit has been enhanced to 60%. With this, the entire withdrawal will now be exempt from income tax. During the reporting year 2016-17, 9.17 lakh RTI applications were received by the registered Central Public Authorities (PAs). This is lower by 59,670 or 6.1% than what was reported during 2015-16. The Central PAs rejected 6.59% (60,428) of the RTI applications processed during 2016-17 showing a downward trend in rejections which have come down by 0.03% from the 6.62% reported in 2015-16. Highest percentage of RTI applications rejected was reported by Ministry of Finance (18.41%), Ministry of Home Affairs (16.08%) and Ministry of Labour and Employment (14.37%). Annual Report 2016-17 shows a decrease of 0.08% in First Appeals received by the Central PA's in comparison to the previous year. The CIC disposed of 32,344 appeals and complaints cases in 2016-17 which is the highest disposal by the Commission since inception. A total of 23,811 cases were registered during the same period. At the end of the year the Commission had 26,449 cases pending before it. The Commission imposed penalties to the tune of Rs. 18.98 lakhs during 2016-17 whereas a total of Rs. 8.6 lakhs was recovered from the PIOs. Total 1,965 PA's have submitted Annual Returns which is higher than the previous year 2015-16. New building of the Central Information Commission (CIC): On 06.03.18, the Prime Minister, Shri Narendra Modi, inaugurated the new building of the Central Information Commission (CIC) in New Delhi. He noted that the building had been completed before the due date, and congratulated all agencies involved in the construction. He said the environment friendly Griha-IV rating would ensure energy savings, and help conserve the environment. The new building will enable the Commission to function from a single location. Earlier it was working from two hired buildings. The new CIC building is a State of the Art-Green Building constructed by National Building Construction Corporation ahead of its completion date. The five storey structure houses all the hearing rooms of the Central Information Commission with state of the art, IT and Video Conferencing Systems. CIC is the apex appellate body established by the Right to Information Act 2005. Appellant can download copy of Hearing notice, Facilitation memo & decision. The Central Information Commission has undertaken an evaluation to ascertain the quality of suo-motu disclosures u/s 4 of RTI Act made by various Public Authorities. The evaluation was conducted by a Committee comprising of Shri A.N. Tiwari, former Chief Information Commissioner and Shri M.M. Ansari, former Information Commissioner. (20.11.18). The Central Information Commission organised a seminar on the topic “Health and Right to Information Act 2005”on 07.04.18. The seminar was attended by Chief Information Commissioner, Central Information Commissioners, former Information Commissioners, State Information Commissioners, NGOs and other stake-holders. Vigilance Awareness Week: The Central Vigilance Commission observed Vigilance Awareness Week during the week in which 31st October, the birthday of late Sardar Vallabhbhai Patel falls. In 2018, the Vigilance Awareness Week was observed from 29th October to 3rd November, 2018 with the theme “Eradicate Corruption-Build a New India (भ्रष्टाचार मिटाओ- नयाभारत बनाओ)”. The observance of the Vigilance Awareness Week commenced with the taking of the Integrity Pledge by the Central Vigilance Commission which was webcast live and telecast on Doordarshan to enable all Central Government public servants to simultaneously take the pledge. The President of India, Shri Ram Nath Kovind was the Chief Guest for the Vigilance Awareness Week Function held at Vigyan Bhavan on 31st October 2018. MoS Dr Jitendra Singh, was the guest of honour at the function. The function was attended by senior serving and retired functionaries of various constitutional and statutory bodies, senior officers of various Ministries, Departments and other Central Government Organisations, Central Public Sector Enterprises, representatives of Professional Associations, Trade and Industry Associations and NGOs, Principals and Heads of Educational Institutions as well as students. The President gave away the Vigilance Excellence Awards for good work done by organizations in the field of punitive, preventive and participative vigilance. Organisational activities were conducted on a large scale during the Vigilance Awareness Week by departments and organizations of the Government of India. CVC Lecture Series: During the year, the CVC organised lectures by experts/eminent persons on various topic as a part of its “Lecture Series”. These are: Smt Sumitra Mahajan, Speaker, Lok Sabha on the topic “My Experiences as a Representative of People”, Dr. Rathin Roy, Director, National Institute of Public Finance and Policy on the topic “Why Fiscal Rectitude Matters”, Dr Ajay Bhushan Pandey, CEO UIDAI on the topic “Aadhar- tool for Empowerment and Transparency”, Shri Shaktikanta Das, Member, Finance Commission of India on the topic “India Economy – the Structural Question”, Dr. Ashima Goyal, Member, Prime Minister’s Economic Advisory Council on the topic ”Indian Institutions: Evolution and Hysterisis”, Dr. Surjit S. Bhalla, Member, Prime Minister’s Economic Advisory Council on the topic “Employment and Poverty Reduction in India ”, CEO, NITI Aayog, Shri Amitabh Kant on the topic “Transformation of Aspirational Districts – a New India by 2022”, Shri M. Damodaran, former Chairman, SEBI on the topic “Corporate Governance in Public Sector”, Dr. Urjit Patel, Governor, RBI on the topic “Preventive Vigilance – the Key Tool of Good Governance at Public Sector Institutions”, Dr.T.M. Bhasin, Vigilance Commissioner, CVC on “Report on Analysis of Top 100 Bank Frauds”, Shri Hemant G. Contractor, Chairman, Pension Fund Regulatory and Development Authority (PFRDA) on the topic “Pensions and Social Security”. Report on Top 100 Bank Frauds: CVC has reviewed and analyzed Top 100 Bank Frauds, from data as on 2017 in a report released this year. The study was divided into 13 sectors comprising Gems and Jewellery, Manufacturing, Agro sector, Media, Aviation, Service Sector, Discounting of cheques and bills, Trading sector, IT Sector, Exports sector, Fixed deposits and Demand Loan etc.The modus operandi of these loans has been thoroughly analysed and various loopholes/lapses have been identified. Based on the findings, various industry specific suggestions for systemic improvement have been given in the final report, which have also been sent to Deptt. of Financial Services and RBI, in order to plug the loopholes observed by the Commission. The measures suggested include strengthening of SOPs, monitoring system and also highlighting the role of controlling offices, so as examine the aspect of quality of business. The analytical study was initiated by the Commission as a Preventive Vigilance measure so as to minimize the occurrence of such type frauds in future. UPSC allows facility of withdrawal of applications by candidates: The Union Public Service Commission (UPSC) has allowed the facility of withdrawal of applications by candidates. This was announced by the Chairman of UPSC Shri Arvind Saxena, while speaking on the occasion of the 92nd Foundation Day Celebrations on 01.10.18. The Chairman said that UPSC’s experience with the Civil Services Examination is that roughly 50% of the 10 lakh plus candidates who fill in the application forms for the Preliminary examination actually write the examination. “The Commission has to book venues, print papers, hire invigilators and ship the documents for all the 10 lakh applicants – which turns out to be a 50% waste of energy and resources”. On successful completion of withdrawal of application, confirmation message will be sent on email and also an SMS. Once application has been withdrawn, it cannot be revived. Shri Arvind Saxena takes oath as Chairman, UPSC: Shri Saxena joined the Commission as Member on 08.05.2015 and was later on appointed to perform the duties of the post of Chairman, UPSC on 20.06.2018. Shri Arvind Saxena has been sworn in as the Chairman, Union Public Service Commission on 29.11.18. Shri Bharat Bhushan Vyas, IAS (J&K 1986) (Retd.) took the Oath of Office and Secrecy as Member, Union Public Service Commission (UPSC) on 13.12.18. The Oath was administered by Shri Arvind Saxena, Chairman, UPSC.